You can be the most ‘spiritual’ person in the world and have the biggest life sucking EGO anyone ever had. You can be the richest, most materialistic person in the world and be the reason why so many people wake up smiling. It’s not about who you are or what you do, EGO is a destructive program for self validation that is present in most of us. The real problem is not the EGO per se, but the source where it seeks self validation from. Looking at others’ flaws gives us powerful EGO boost. But we will always need others to have flaws in order for us to feel validated. Real confidence and self validation doesn’t come from devaluing the outside, but finding the value inside. The EGO traps are usually outlooks that make you superior over others, no matter how you evaluate superiority. The problem with striving to be superior over others is that you are always their slave thinking they are yours. You never listen or do what YOU really want to do in your life. It’s all about the scoreboard. You are always trying to fill a black hole inside yourself, to get that fix of self validation. And in reality you are only chasing shadows. You run away from your own truth and what you really want out of life. You are in a trap. And you are not making the world for you, or everyone around you a better place, no matter how much you think that you are. You are doing the right thing for the wrong reasons which will produce a counter effect in the long run. If you think it is more ‘spiritual’ to ride a bike to work or use public transportation, but then find yourself judging anyone who drives a car, you are in an EGO trap. If you think it is more ‘spiritual’ to stop watching television because it rots your brain, but then you find yourself judging those who still watch TV, you are in an EGO trap. If you think it is more ‘spiritual’ to avoid reading gossip, tabloid or news magazines, but then find yourself judging those who do read those things, you are in an EGO trap. If you think it is more ‘spiritual’ to listen to classical music or soothing nature sounds, but then find yourself judging those who listen to mainstream or pop music, you are in an EGO trap. 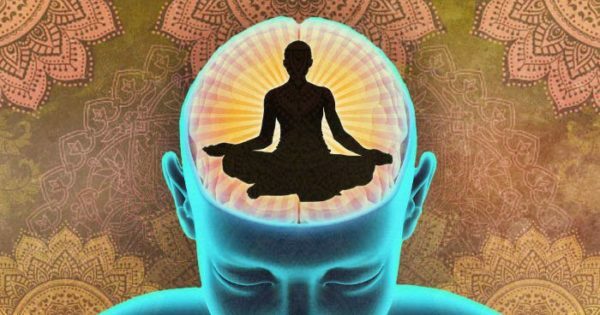 If you think it is more ‘spiritual’ to do yoga, become a vegan, buy organic, practice reiki, meditate, wear hippie clothing, read enlightened spiritual books, but then you judge anyone doesn’t do these things, you are in an EGO trap. Always be aware of the feeling of superiority. That’s your BIGGEST clue you are in an EGO trap. The weakness driven EGO wants to sneak in the ‘back door’ unnoticed by you. It will take a noble idea, like becoming a vegan, and then twist it to serve its own ends by making you feel superior to others. You’ll start to look down on those who are not following your ‘righteous’ spiritual path.